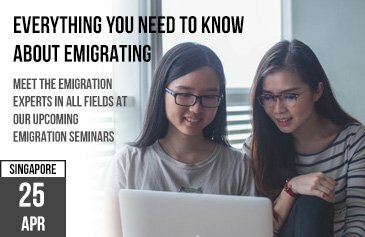 If you are seriously considering relocating for work, or have recently seen a fabulous job opportunity in Australia, then it’s likely you’ll have considered TSS working visas for Australia. Australia has a wide range of options, depending on your circumstances. With one of the strongest economies in the World per capita and great job opportunities the TSS Visa class was designed to fill gaps in the Australian employment market. The Temporary Skills Shortage Visa (“TSS”) visa has a short, medium and longer term pathway, depending on an applicant’s occupation and where this occupation ranks in terms of demand. Those with an occupation on the Short-Term Skilled Occupations List (STSOL) are, once in receipt of a formal job offer, eligible for short term working visas of up to two years validity, renewable once in country for up to a further two years. Those with an occupation on the Medium and Long Term Strategic Skills List (MLTSSL) may apply for a four years visa initially, with the additional caveat that they may apply for full Permanent Residency after three years. How can I apply for a TSS Visa? an applicant is required to demonstrate they have the correct skills, experience and qualifications for the proposed role. usually this will take the guise of a formal Skills Assessment. you will need to prove that the role is currently in demand, has been advertised correctly and can’t be filled by a local applicant. Applicants can only work in their occupation and must not have any period of unemployment longer than 60 days. Other family members can work full time. The employer must become a Standard Business Sponsor then nominate an occupation. The nominated individual must then apply for the visa and move to Australia. Can the TSS visa lead to permanent residency and Citizenship? Yes, if you have an MLTSSL occupation, you could have a pathway to full permanent residency and Australian Citizenship. However, a visa in an STSOL occupation does not lead to permanent residency. How can Australia Made Simple help with my TSS Visa? Australia Made Simple can assist every step of the way, representing both you and your employer throughout the process to ensure a swift and successful outcome.